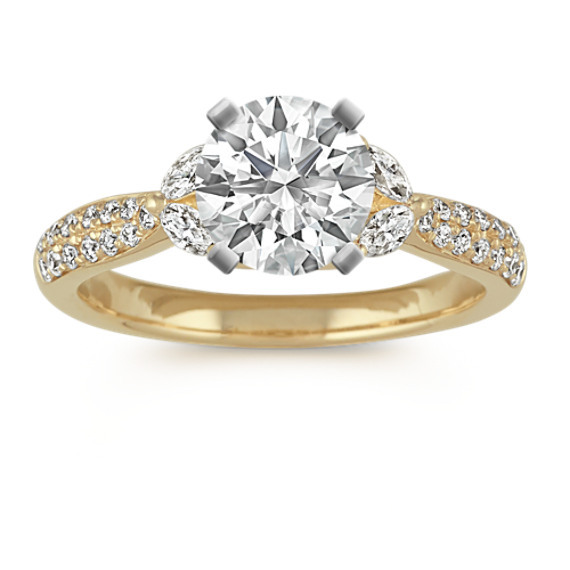 Classic Pave-Set Diamond Engagement Ring | Shane Co. This cathedral engagement ring highlights 30 round diamonds (approx. .22 carat TW) and four marquise diamonds (approx. .15 carat TW). Set in quality 14 karat yellow gold this lovely ring measures 5.6mm wide and and has a total carat weight of approximately .37 carat. The center gemstone of your choice will look brilliant in this sparkling ring design. Gemstone Carat Weight :.22 ct.